Fifty people died in a boat accident on a river in remote northwestern Democratic Republic of Congo (DRC), officials said on Friday. The accident happened on the Momboyo river Wednesday night, Richard Mboyo Iluka, vice governor of Tshuapa province, told AFP, saying: "We found 49 bodies on Thursday and another one this morning." The boat had been transporting passengers and a large amount of goods from the town of Monkoto to the city of Mabandaka in Equateur province, local residents said. 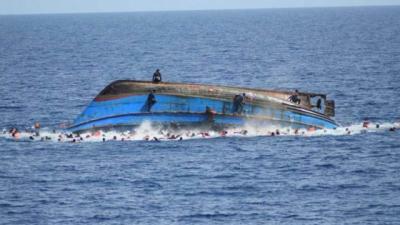 "The causes of the sinking and the number of people missing are not yet known. The provincial government has already sent a team there to find out more," Mboyo said. He added, however, that the boat had been travelling by night -- something that is illegal under government safety measures -- and did not have lights. Accidents are a frequent hazard on the DRC's rivers and lakes, due to decrepit boats, overloading, lack of safety equipment and the fact that few Congolese know how to swim. In February, at least 14 people were reported missing when two boats sank on the Congo River.